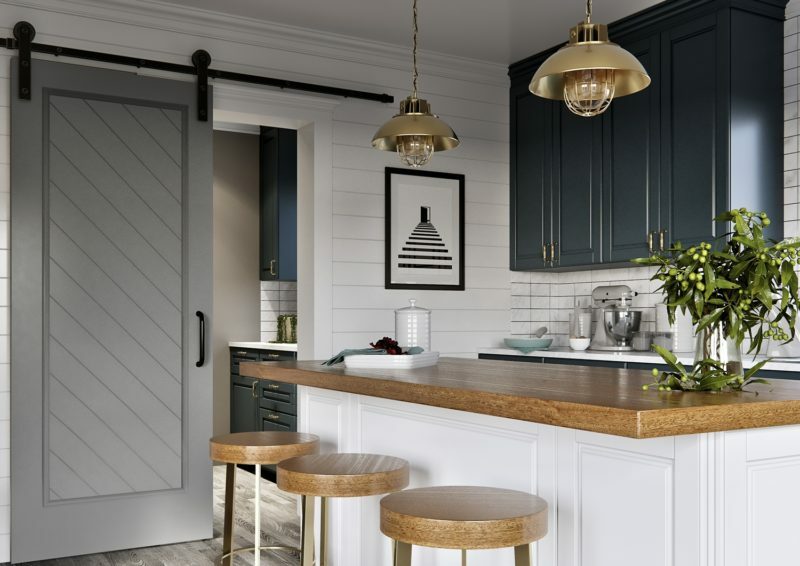 The Jeff Lewis Herringbone Style Barn Door kit is a simple way to bring beauty, sophistication and charisma to your interior. 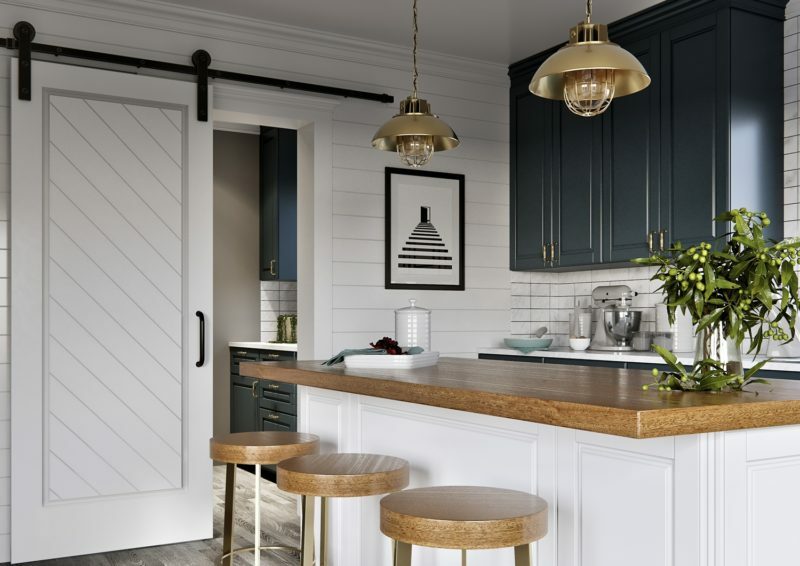 Take the installation on as an easy weekend project and stylishly close off a bedroom, pantry, closet, laundry room, or even a bathroom. 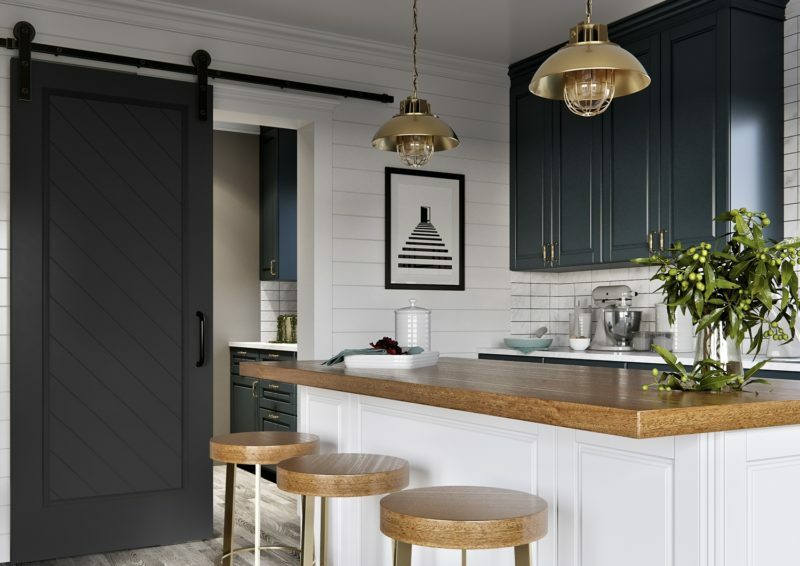 The 84" tall door kit available in 42" width. 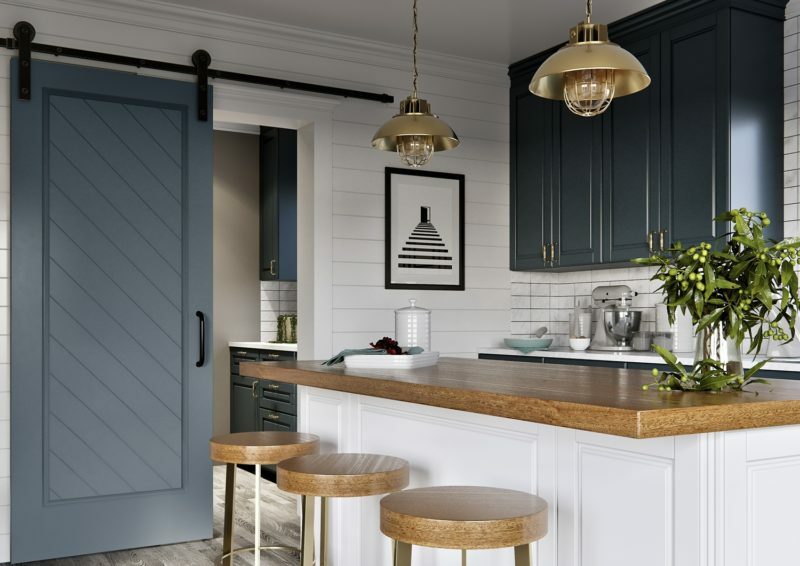 The Herringbone Style Door is offered in four finishes: White Collar, Gray Geese Gray, Pacific Blue, and Knight Black. Priced from $799.00, the Kit comes complete with door, handle, track, blocking, and the tools for assembly and installation.